Jim Jenkins has built quite a reputation in the crowded St. Louis market. He's a prime matchmaker, a diligent promoter, and above everything else, a man who's passionate about St. Louis MMA and its growth. If you look back at our list of the best fights from 2012, Jenkin's work is well represented. Last year he was partnered up with Rumble Time Promotions and booked great fights like Zach Freeman vs Aaron Derrow and Josh Sampo vs Will Campuzano and on the amateur side bouts like Hugh Pulley vs Adam Meredith and Malcolm Smith vs Kyle Walker. "We got to put on some really good shows at the casino. It was really great to be involved with that and to get to bring the caliber of fighters into town for our guys to test themselves I believed it really helped," Jenkins said. "But I'm very excited to be on our own path again." While the partnership with Rumble Time is over, Jenkins isn't slowing down with an ambitious schedule for 2013. "I have a fight scheduled every month," Jenkins said. "April 5th is the pro/am, May 24th is an amateur show, June 22nd will be the big pro card. Back at the Heart of St. Charles on July 26th for all-amateur. In August, I'm doing an outdoor show for Shady Jack's. September we'll be back at the St. Louis Sports Center for another pro show." 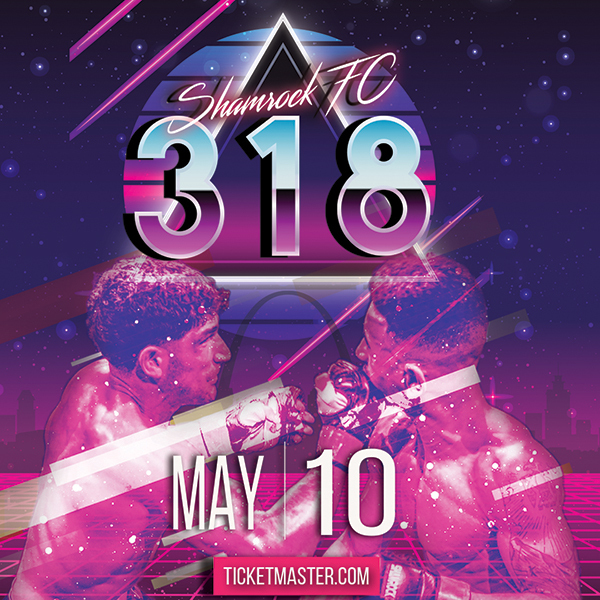 On Friday, Jenkins and company will return to the Heart of St. Charles for a 13-fight pro/am featuring a main event of Chris Heatherly vs Gert Kocani. Also on the card are familiar locals such as: Alex White, Sal Woods, TJ Thomas, and Hugh Pulley to name a few. "My reputation is on the shows and how I treat the fighters. What I give to the sport," Jenkins said. "Because I don't have a gym where I can tell guys that they're fighting. I have to continually do a good job and put on good fights, and I think that I do." With no ties to a specific gym, Cage Fighting Events features fighters from all around the St. Louis area, and Jenkins has made it a priority to try to get everyone involved. "All I'm trying to do is to grow the business, grow our sport, help these guys. Same as I've always tried to do," Jenkins said. "I'm committed to helping these guys grow in the sport as far as they can go. I won't carry anybody or build anybody that can't do it, but we'll provide the opportunity to those that do rise up." Cage Fighting Events has something special planned on June 22nd when they setup shop at a 2,000+ seat venue in South City, the St. Louis Sports Center in Affton. The event will feature a card completely made up of pro bouts. "That's going to be an all-pro show," Jenkins said. "No one else here is really doing that. We're going to have at least 10 pro fights. We might even have some preliminary amateur bouts. I'm excited about 10 pro fights, to me that's a huge deal." Jenkins mentioned Jake Collier, Daniel O'Connor, Jake Trtanj, and Alex White as few of the fighters he's looking to have on the June event. Recently, Jenkins partnered up with Rob Zbilski from the MMA Sports Federation. Jenkins' May 24th event will be used to award spots to Team USA for a scheduled fight in Bogota, Columbia. One of the bouts scheduled will be between Clay Mitchell and Bo Kunz, with the winner securing a spot to represent the US against amateur light heavyweight from Columbia, in August. Zbilski is also working with media partners in Columbia to open the doors for live streamed events, but the details regarding this are still being hammered out. Jenkins and Zbilski are working with their partners in Columbia to send their best fighters to the US, and US fighters to Bogota. "We're going to be sending pros down there to fight, and bringing some of theirs up here," Jenkins said. "We're taking a US team to Turkey, I believe in September, and in August we're taking amateurs and a couple of pros down to Columbia to fight." Looking ahead to next year, Jenkins is planning four Pro/Ams at the St. Louis Sports Center and returning with all-amateur cards at the Heart of St. Charles.